The “cream” in this soup is pureed cashews; they add creaminess without dairy, but also a hint of sweetness. And it doesn’t taste like soup with nuts in it. 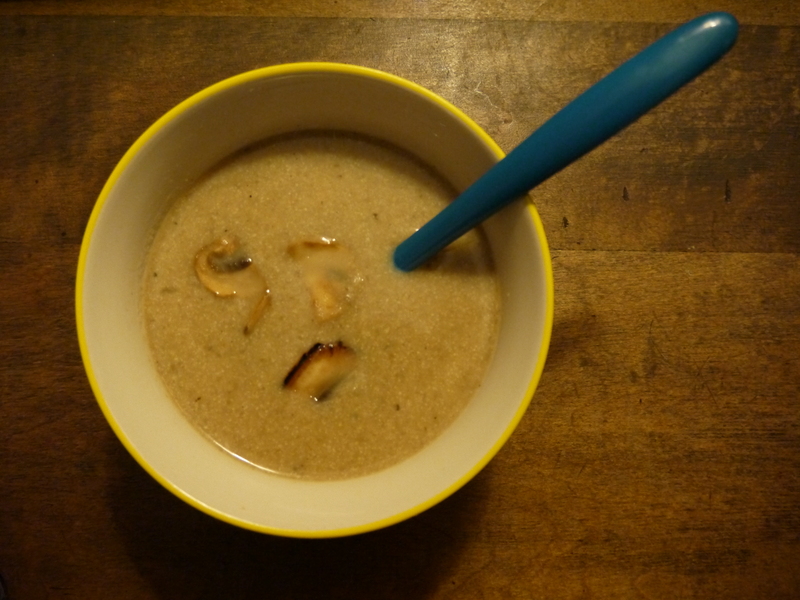 This yummy soup is one I’ve made before, but this time I kept some of the mushroom slices whole instead of blending them all in. I really like that little mushroomy bite, both for the texture and the flavour. I also used some dried mixed wild mushrooms in this version. Soak the cashews in the half cup of water and set aside. Soak the dried mushrooms in about 1/4 cup boiling water. Heat the olive oil in a large pot on medium heat and add the chopped onions, sautéing them until they are slightly browned. Add the garlic and cook for a minute more, then add the mushrooms, soy sauce and Worcestershire sauce. Cook for about 5 minutes, stirring occasionally. Set a small bowl of the fried mushrooms aside to mix in later. Add the broth and the dried mushrooms along with their soaking liquid if you’re using them. Cook until the mushrooms are soft, about 10-15 minutes. In the meantime, puree the cashews until they combine with the water to make a smooth, thick liquid. When it is ready, blend the soup until there are no large chunks of mushroom. Stir in the cashew cream. The original recipe says to strain the soup now, but I liked it the way it was. Season with pepper, and possibly with salt. Because it has soy sauce you may not need the salt. 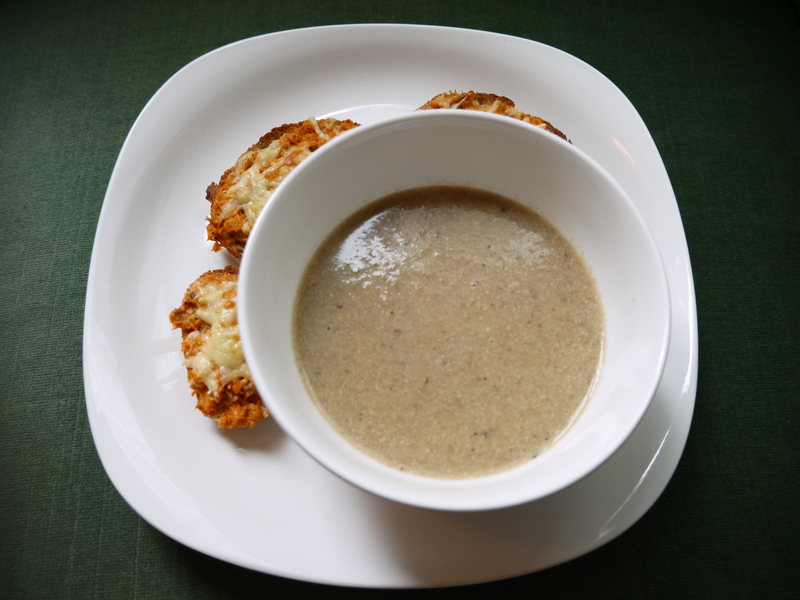 Reheat the soup and serve with some fried mushroom slices on top. This works well as leftovers, and for freezing.